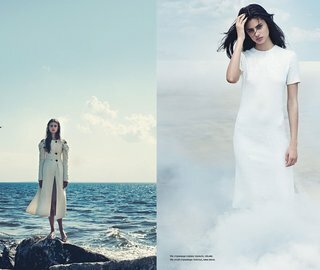 Rika Magazine always stands to celebrate unique woman that capture our hearts and their newest issue stays true to form. This time around the magazine features the new model guard of Helena Severin, Imaan Hammam, Vanessa Axente, Vanessa Moody, and Marte Mei van Haaster as their cover stars with accompanying fashion editorials that are as exquisite as the last. With contributions from photographers Jen Carey, Scott Trindle, Ben Weller and more the issue highlights inner beauty as a force to be reckoned with. Be sure to pick up your copy when it exclusively debuts at Colette, October 1st or on worldwide newsstands October 8th. For an exclusive look take a peek below!